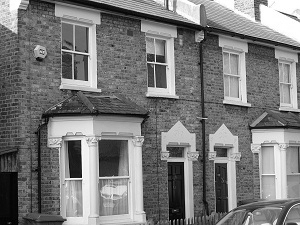 Spick & Span window cleaners went down to East Dulwich today to clean some windows of a three bedroom Victorian property. Although it was the first visit of the company to the home Dulwich the window cleaner was left inside the property to clean the windows unattended. No doubt it was because of the trustworthy and professional approach of Spick and Span window cleaners that made the householder feel comfortable enough to leave the keys of the property in the hands the window cleaner cleaning the home and leave him alone to carry out the work in the house, while she attended to other important matters.Of course this trust was respected by the window cleaner at all times. Spick and Span window cleaners during the time that they have been operating have worked hard to build up this reputation and work hard to develop a trusting and relaxed atmosphere among clients . Spick and Span window cleaners know and recognize that trust is at the top of most prospective client’s lists of important factors in their consideration of whom to choose to provide a window cleaning service, and so help to put clients at their ease of making a selection by making available client testimonials, and by keeping an up to date CRB certificate. The windows of the property were cleaned thoroughly on the outside and all windows that were cleaned with a mop and squeegee were also buff and detailed using a scrim. There was a kitchen extension skylight window that was accessed via an upstairs bedroom window. At the back of the kitchen extension there was a set of patio doors that had dried cement which needed scraping before being cleaned by traditional window cleaning methods, after this was completed two upstairs windows at the rear of the house were cleaned by using a water fed pole attached to a window cleaners back pack. There was a set of french doors that were cleaned and also a bay window before the window cleaner locked up the property, posted the house holders keys through the letter box, and continued at the cleaning the glass at the front of the house. The windows at the front of the house were particularly grubby and were scrubbed vigorously. The two upper floor sash windows were cleaned using purified water pumped through a telescopic pole and brush the lower floor bay windows were cleaned with a hand mop and squeegee and cloth.